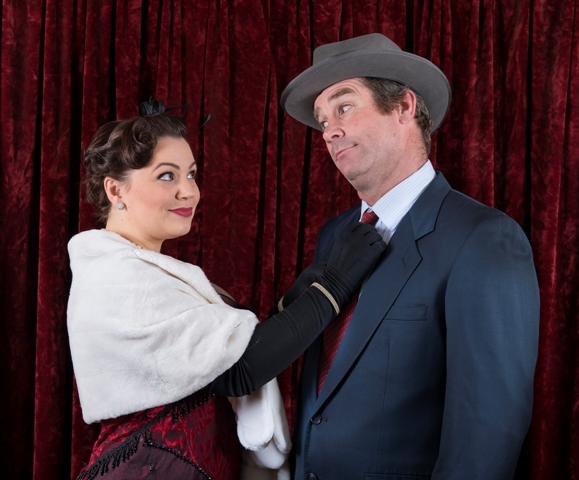 It all begins with a bet. 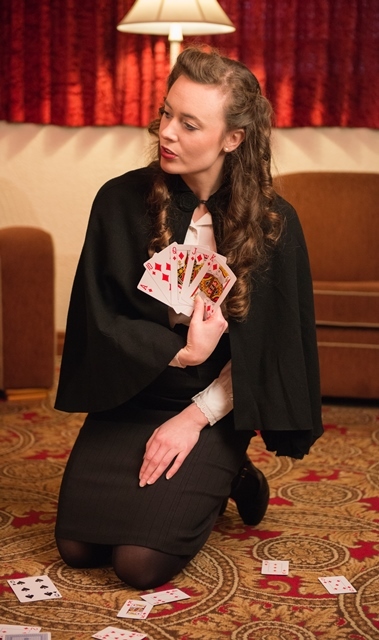 Nathan Detroit bets high-rolling gambler Sky Masterson that Sky cannot persuade Save-A-Soul Missionary Sister Sarah Brown to accompany him on a trip to Cuba. 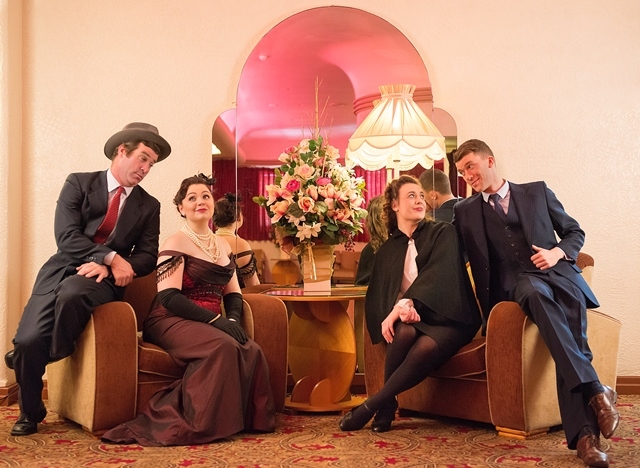 While the worldly Sky works his charms on a wary Sarah, Nathan is doing his best to stay outside the matrimonial clutches of his long-suffering fiancée, Miss Adelaide. 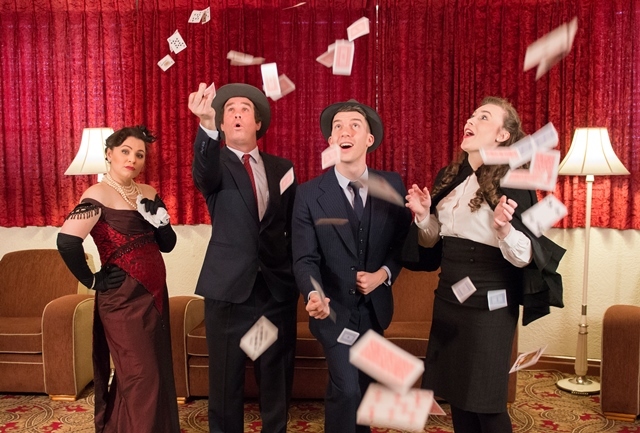 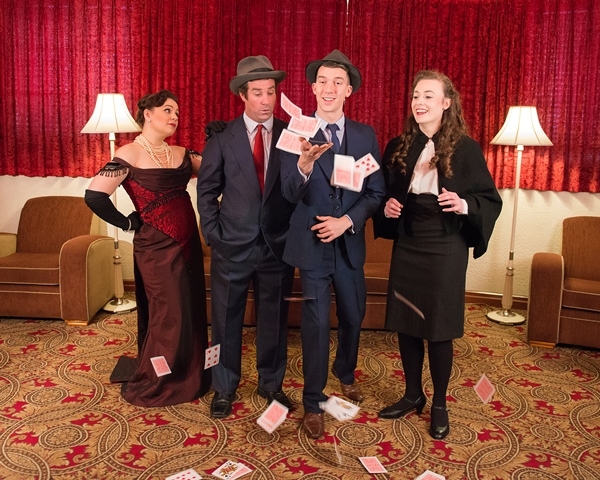 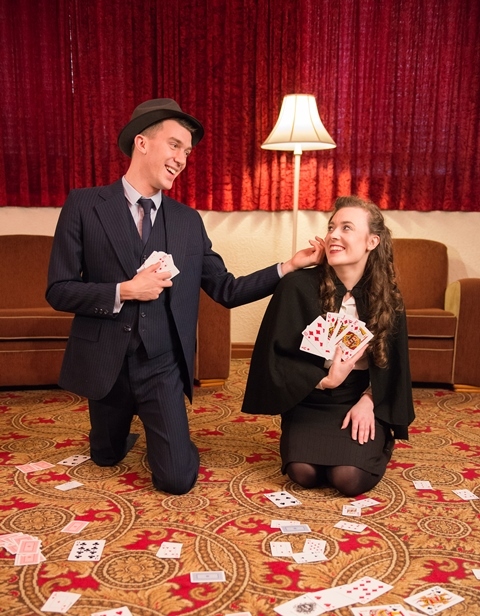 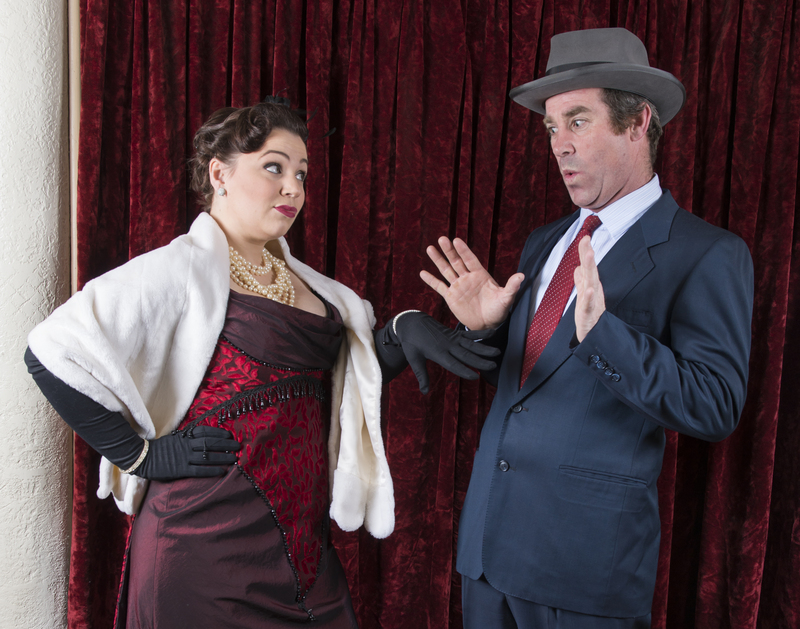 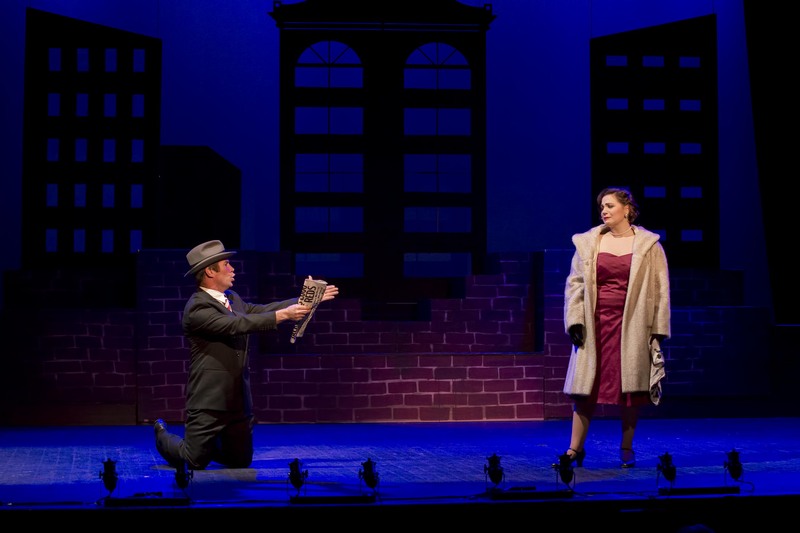 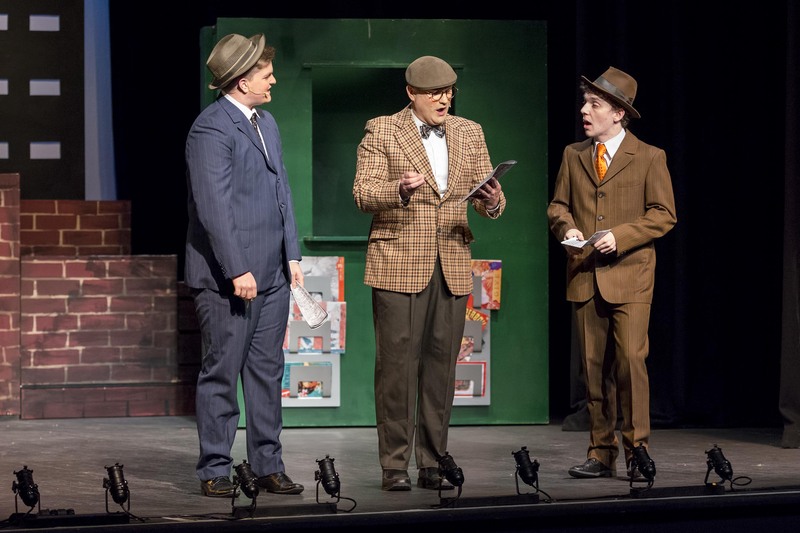 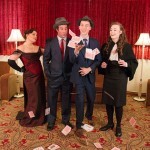 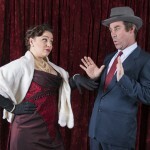 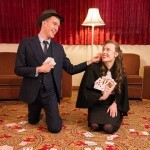 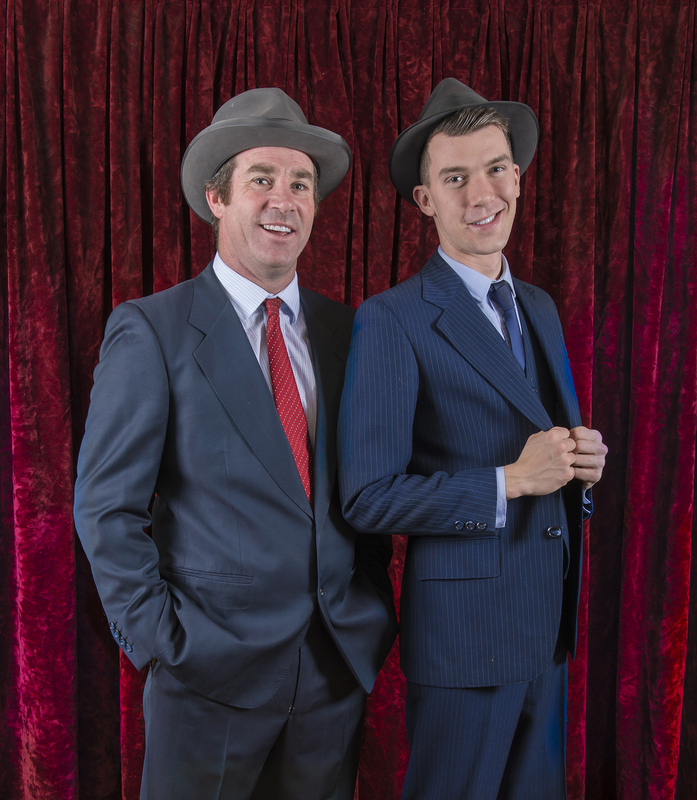 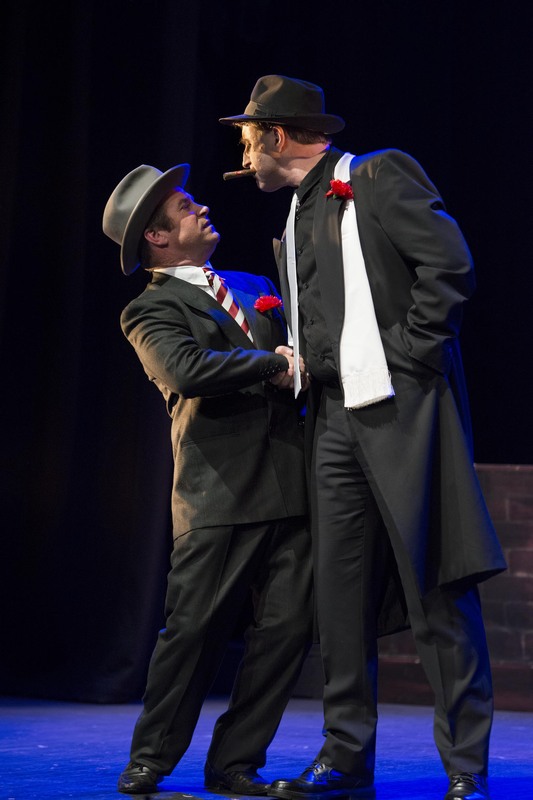 Guys and Dolls is a fable about what happens to gambling men and the women who long to tame them. 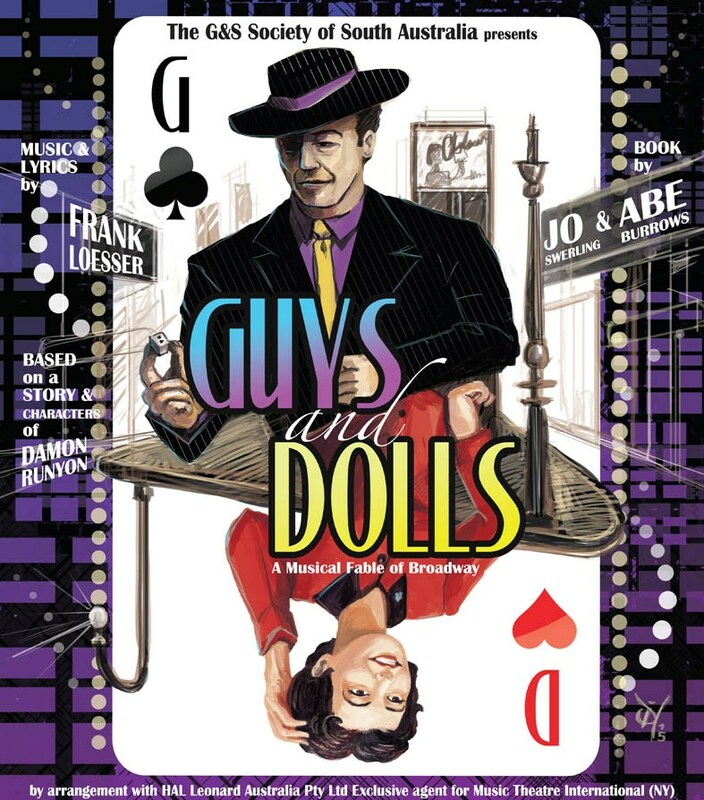 Set in the colourful world of New York City in the mid-20th century, the romantic and funny Guys and Dolls is populated with gangsters and gamblers, missionary dolls and scantily clad showgirls, and one of the great musical scores in the history of American musical theatre. 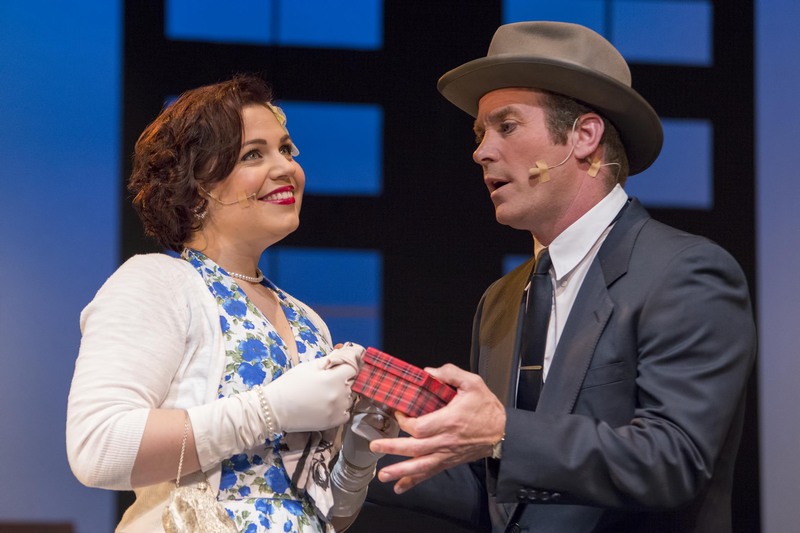 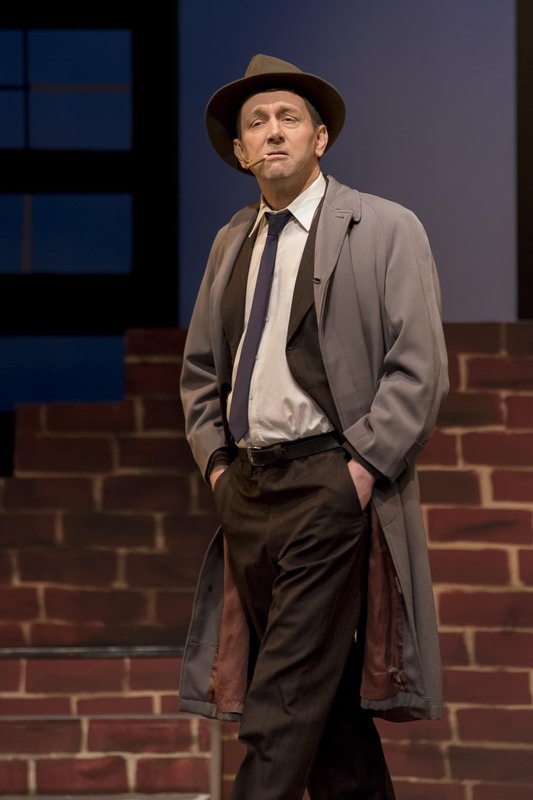 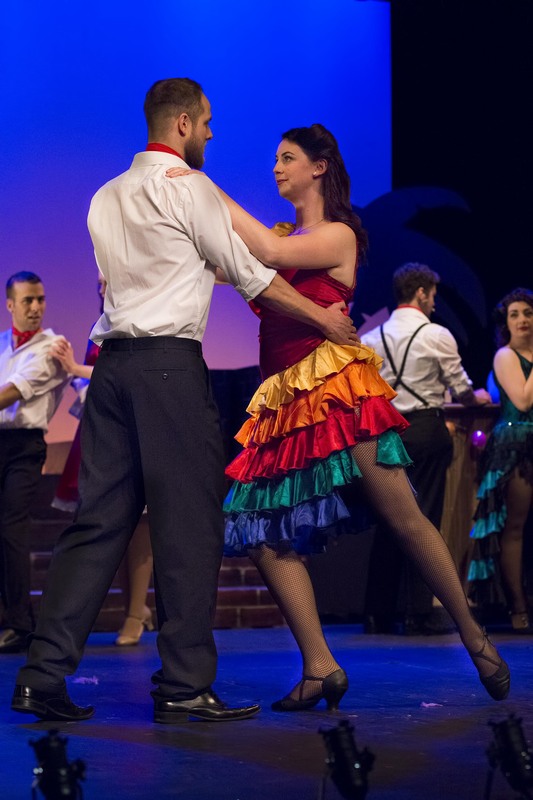 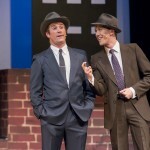 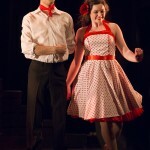 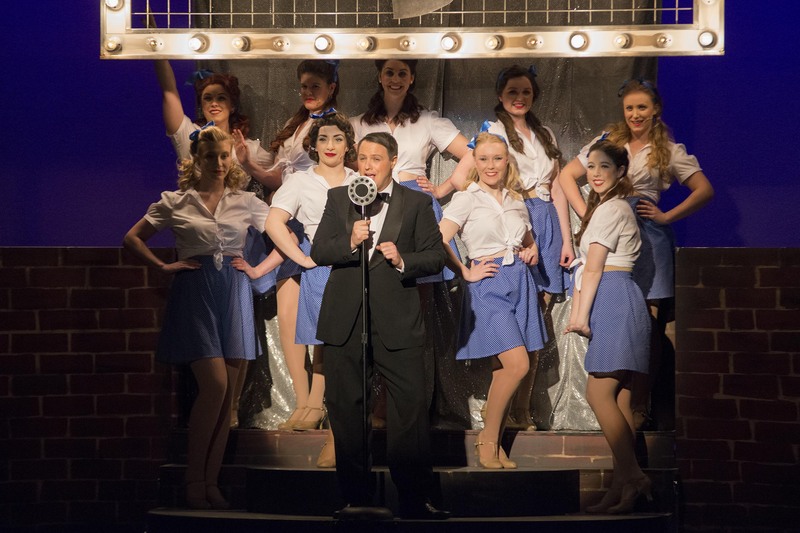 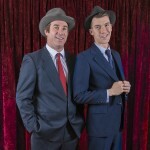 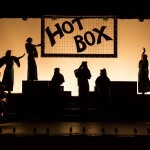 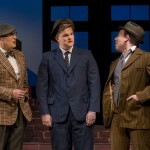 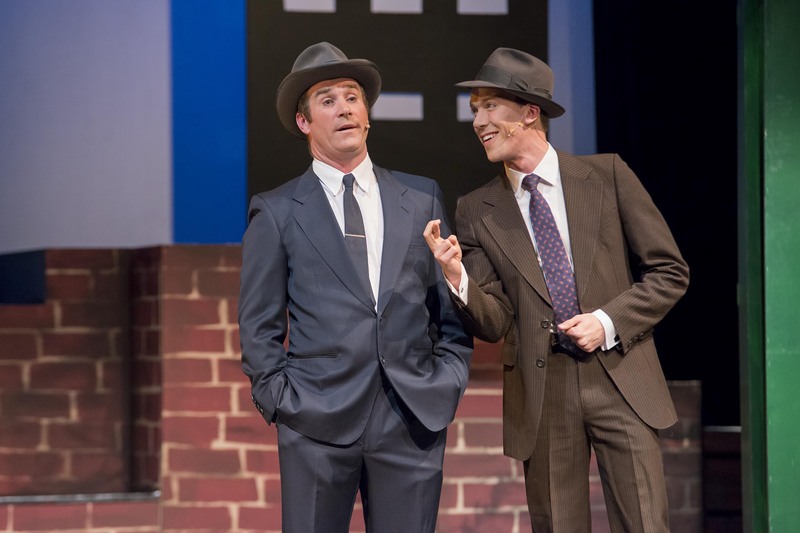 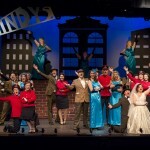 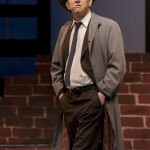 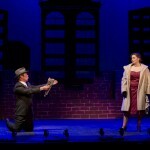 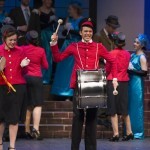 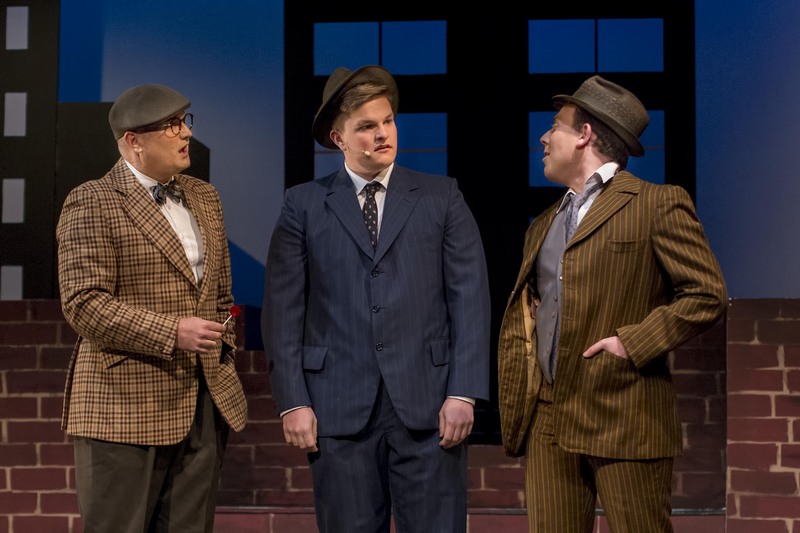 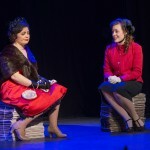 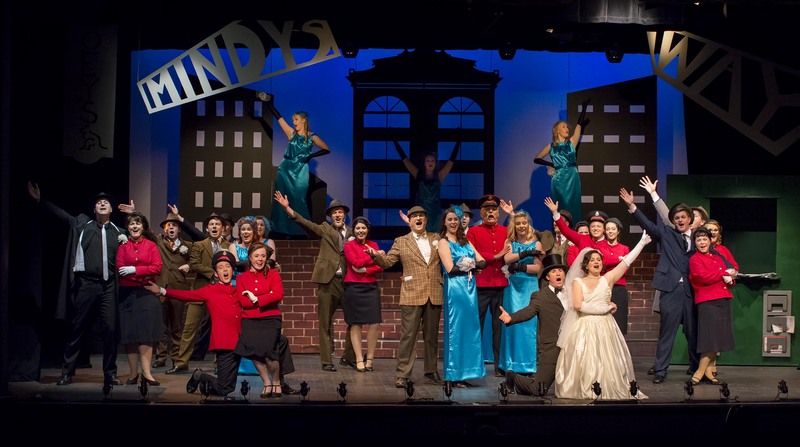 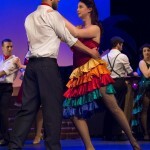 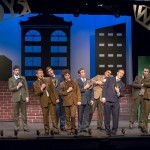 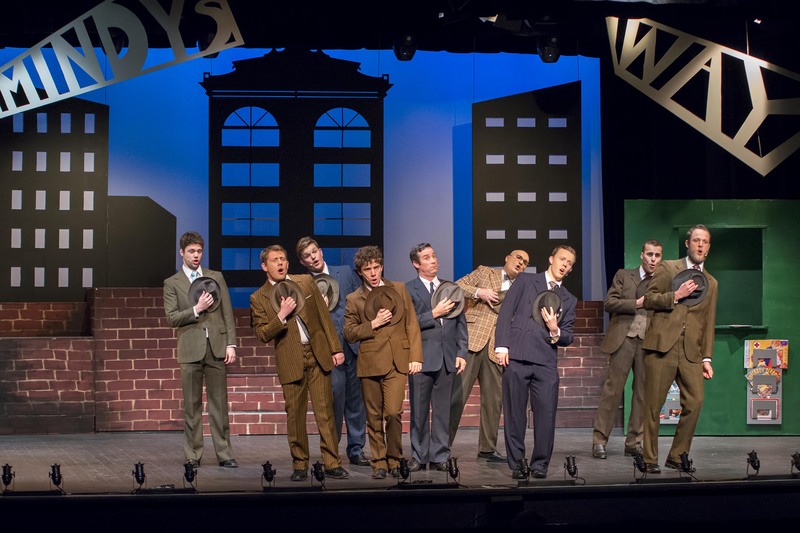 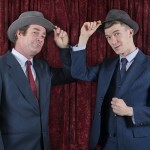 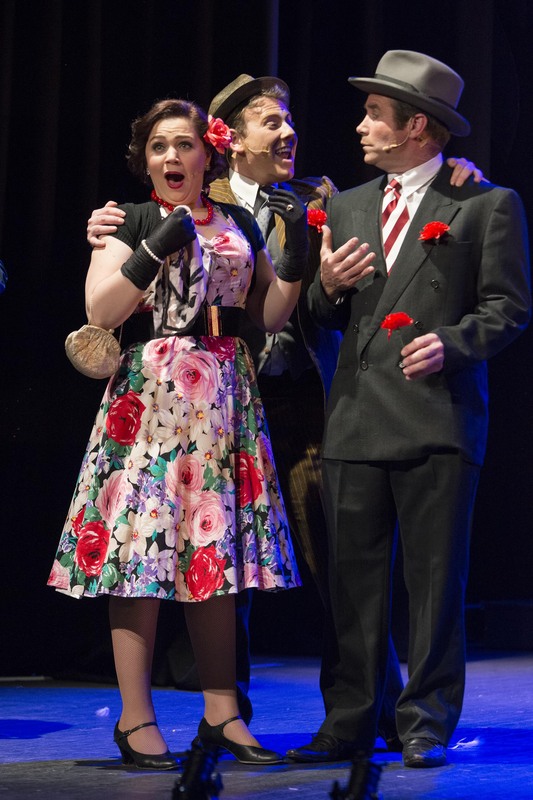 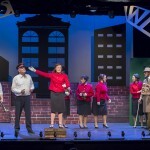 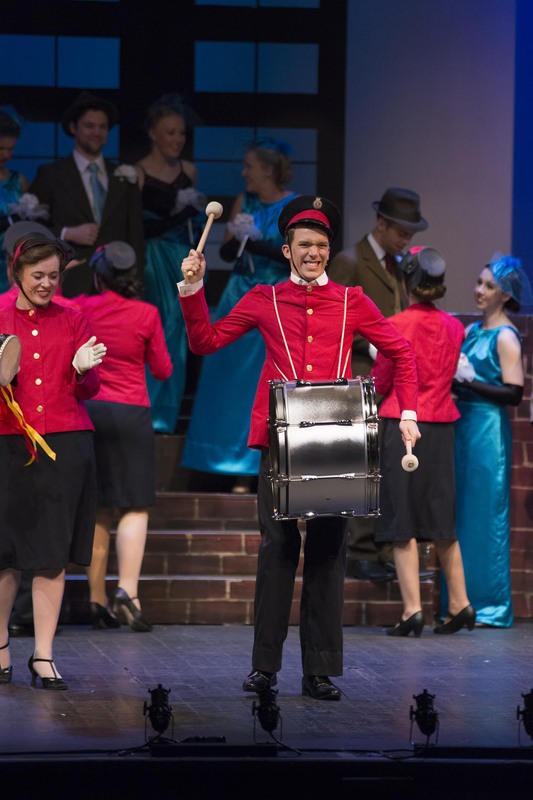 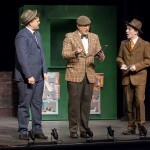 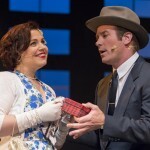 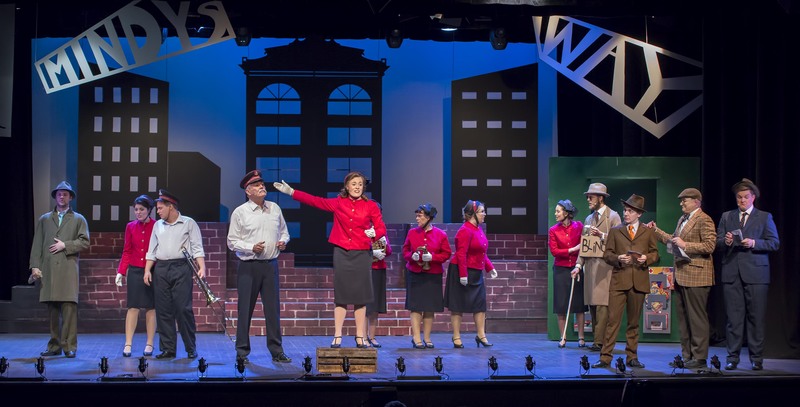 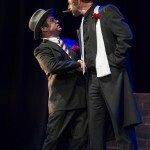 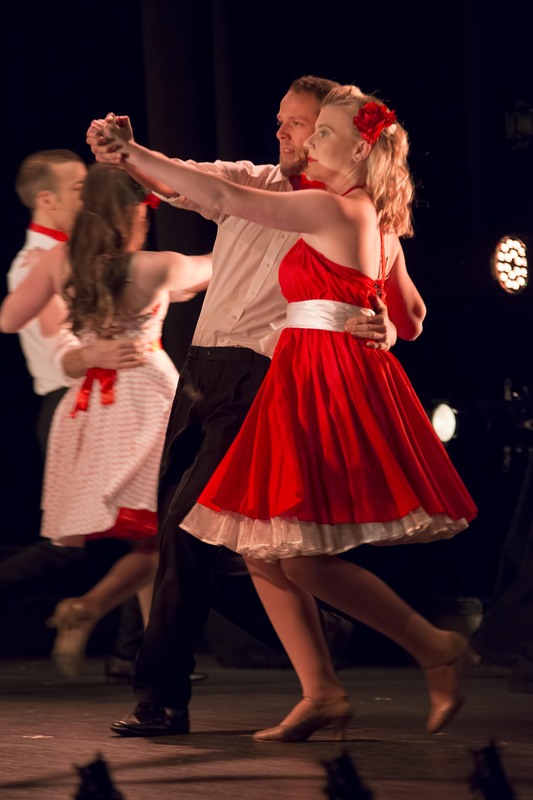 Guys and Dolls is indeed one of the classic musicals and for many lovers of musicals, their favourite. 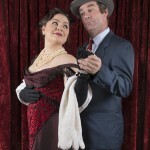 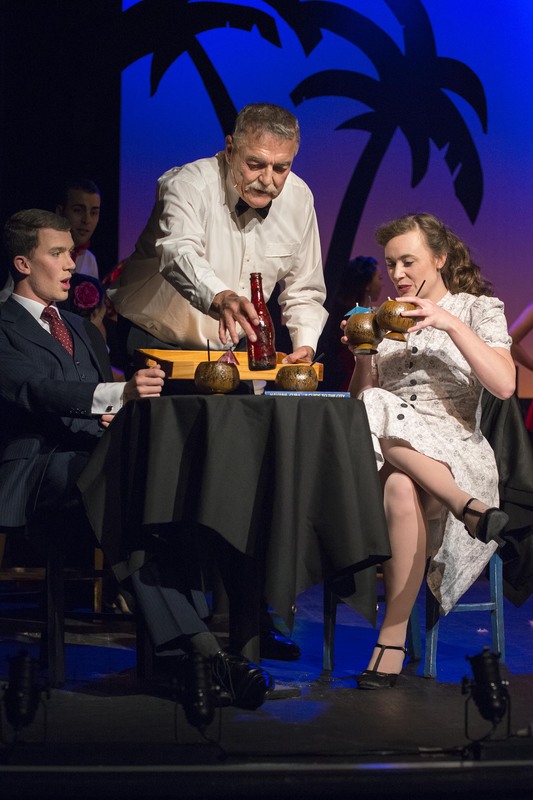 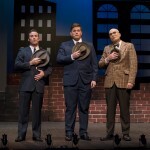 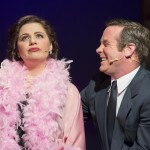 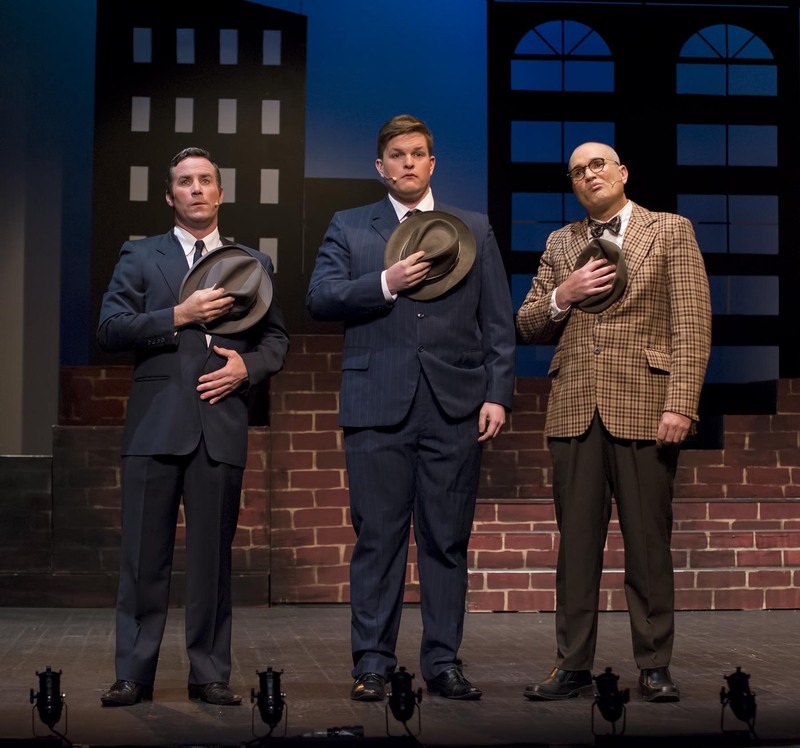 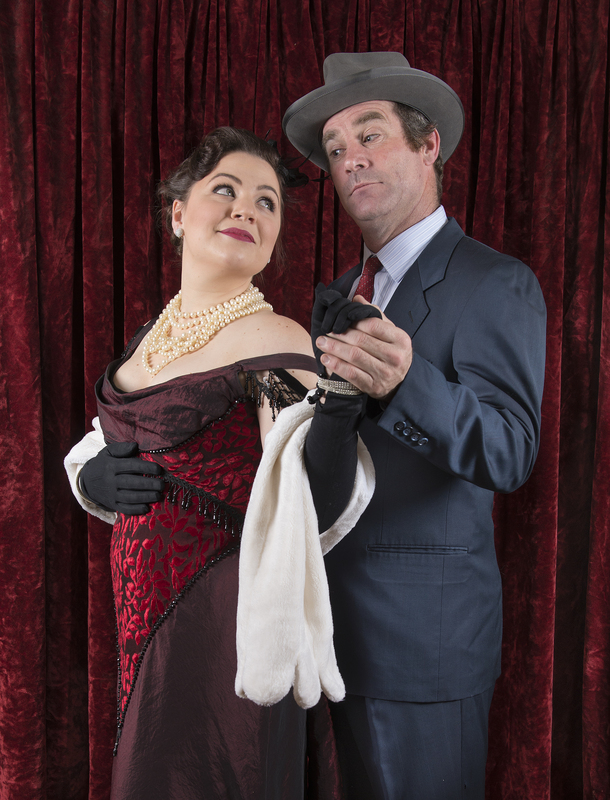 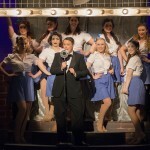 It has so much to offer with its lovable, larger than life characters and rousing Frank Loesser songs. 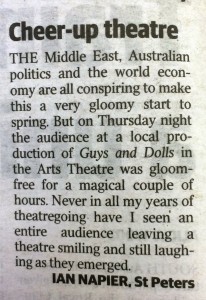 Audiences therefore come with high expectations. 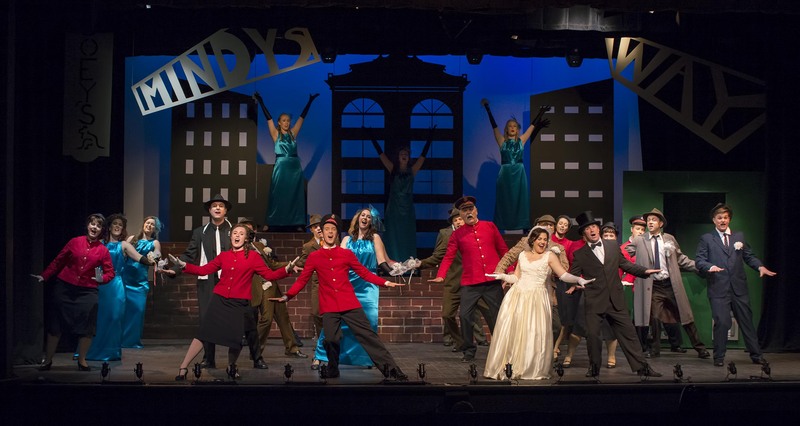 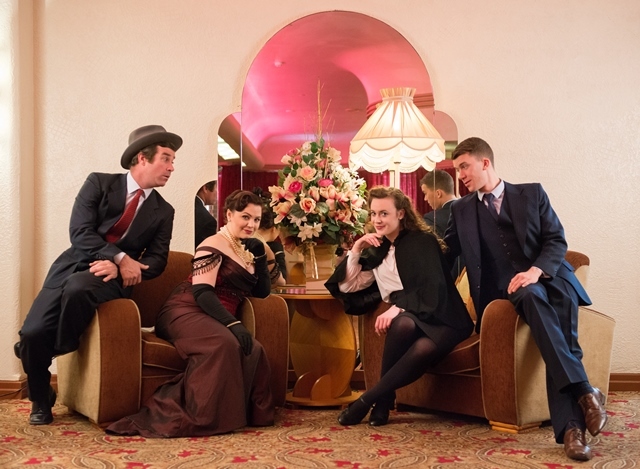 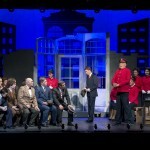 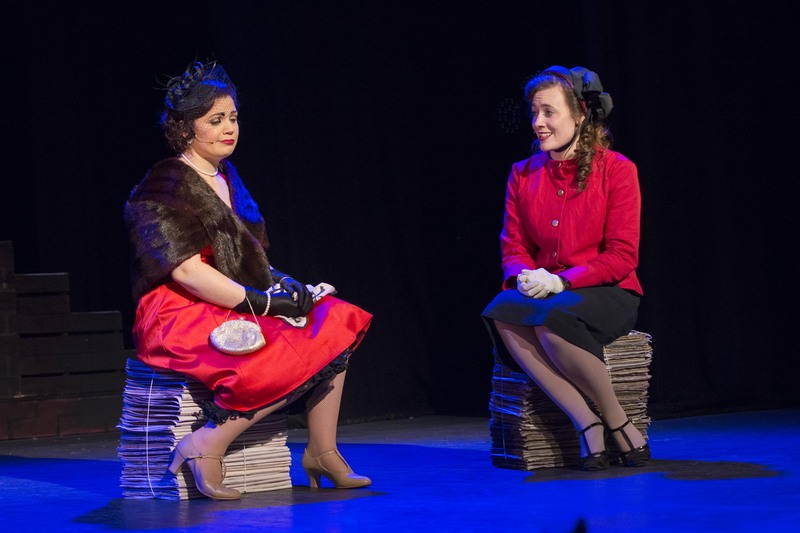 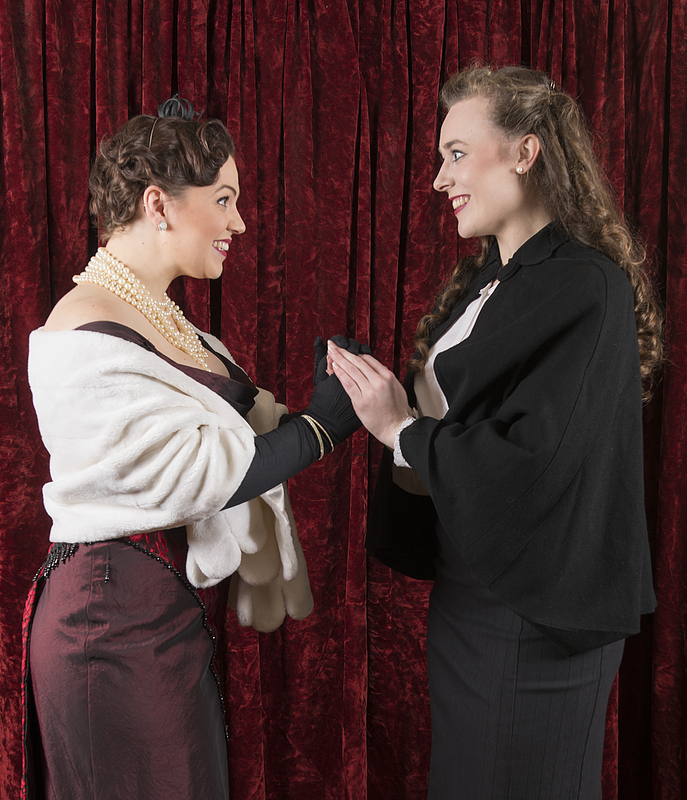 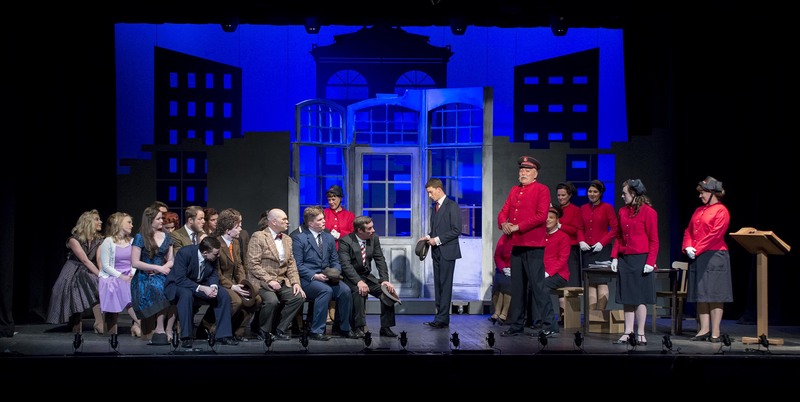 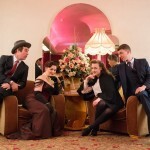 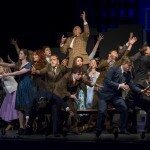 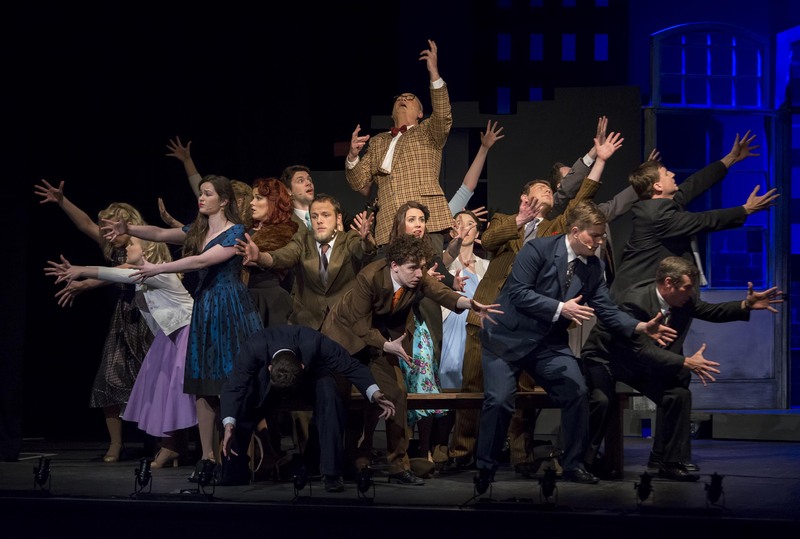 G& S Society’s current production at the Arts Theatre from 1-10 October does not disappoint. 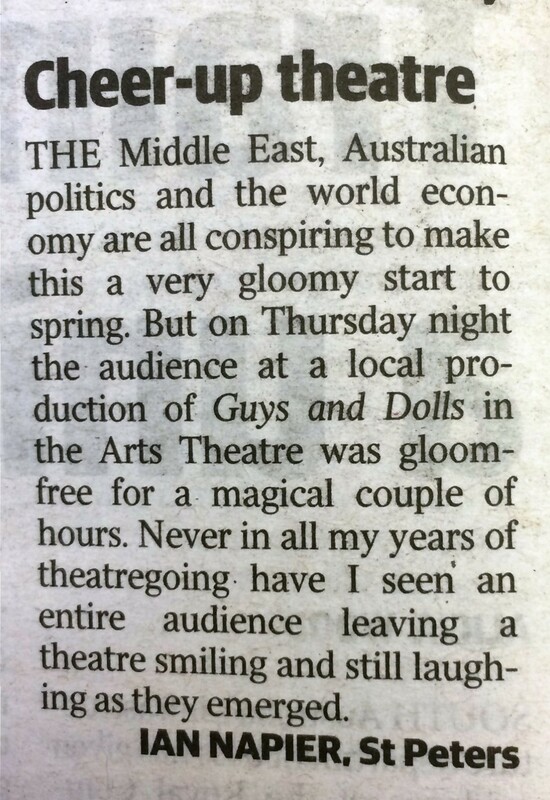 Director Karen Sheldon has assembled a stellar cast and each and every one of them has responded to her obvious clear vision. 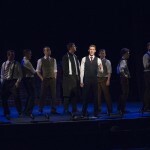 Kerry Hauber’s choreography is fresh and creative – the Crapshooters’ Dance a highlight of precision and a joy to watch. 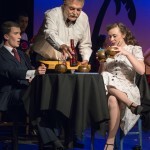 The orchestra, under the direction of Martin Cheney was superb. 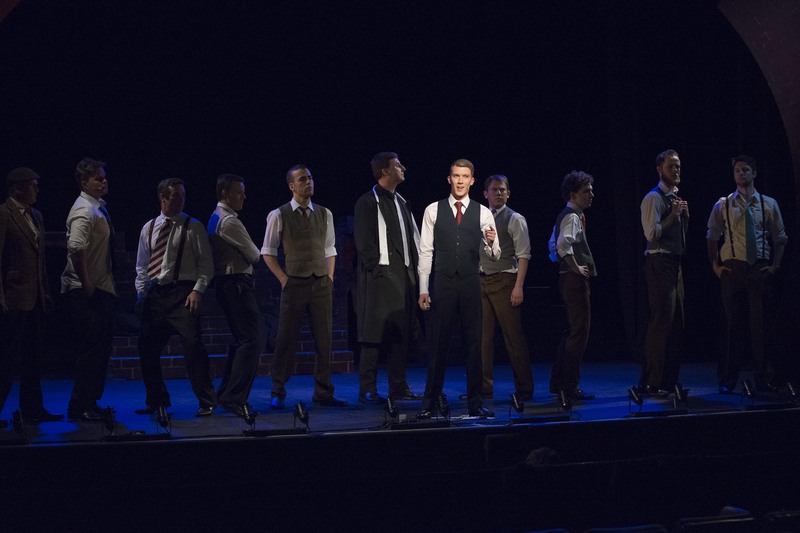 The creative team have clearly worked together extremely well to bring this first-class production to the stage. 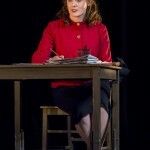 Set design by James Nicholson with Karen Sheldon is unobtrusive and the set changes seamless. 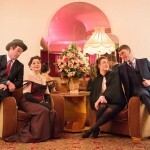 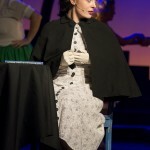 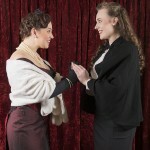 Elisabeth Arnold’s costume coordination provides professional quality which is authentic to the era. 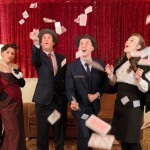 There is not one weak link in the ensemble cast – the dream of any director. 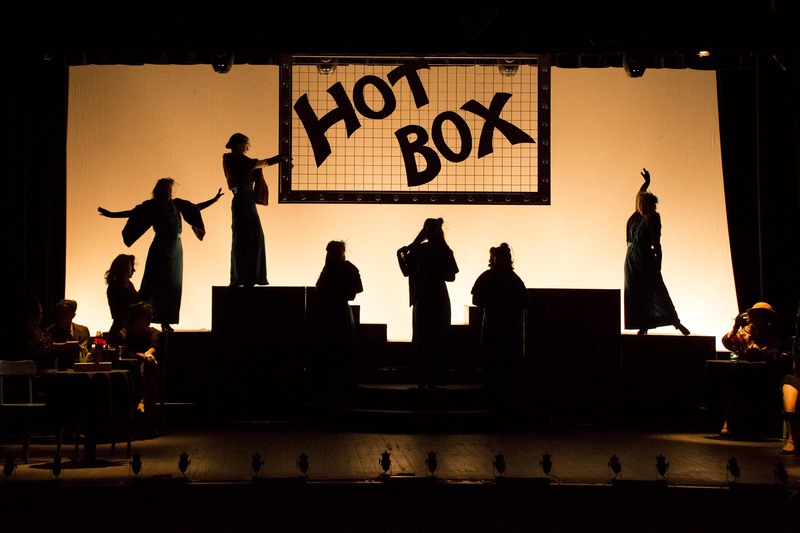 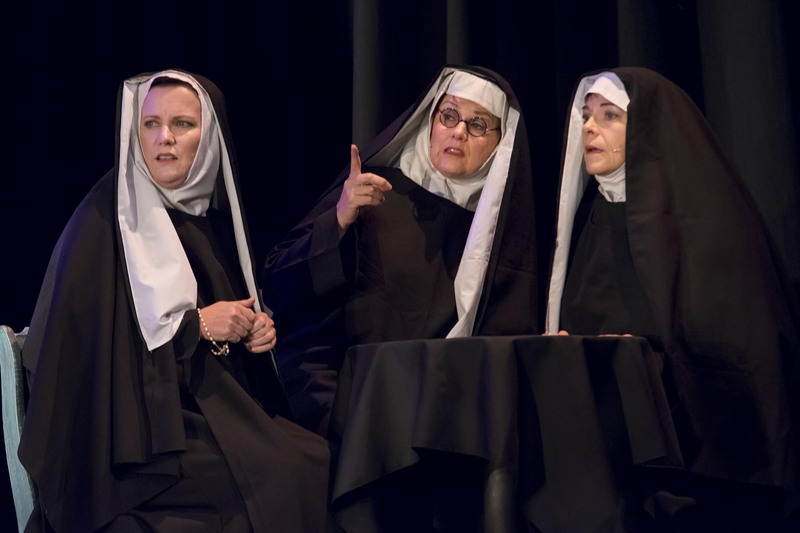 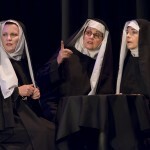 The Gamblers are energetic and precise, the Hot Box Girls effervescent and delightful with the Mission cast suitably pious. 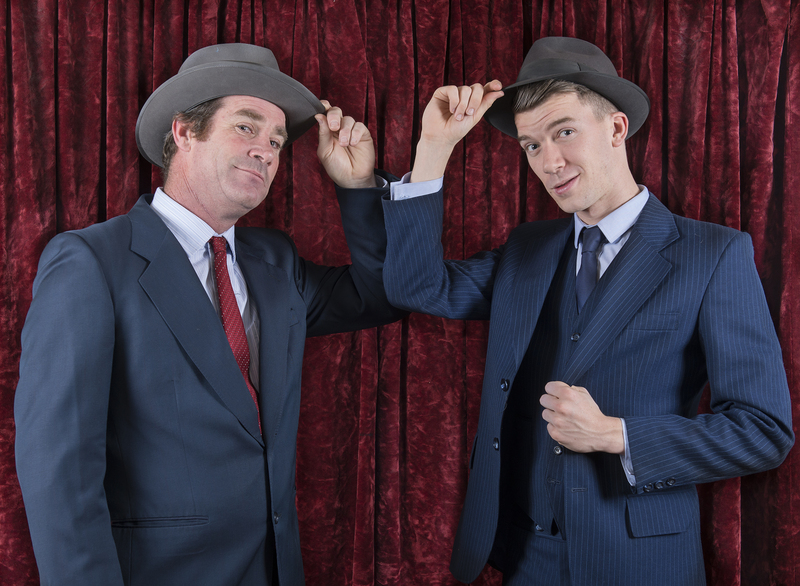 Jason Bensen as Sky Masterton delivers a polished, suave performance. 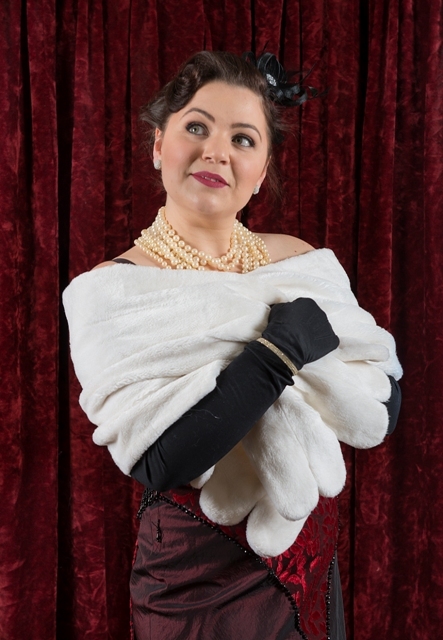 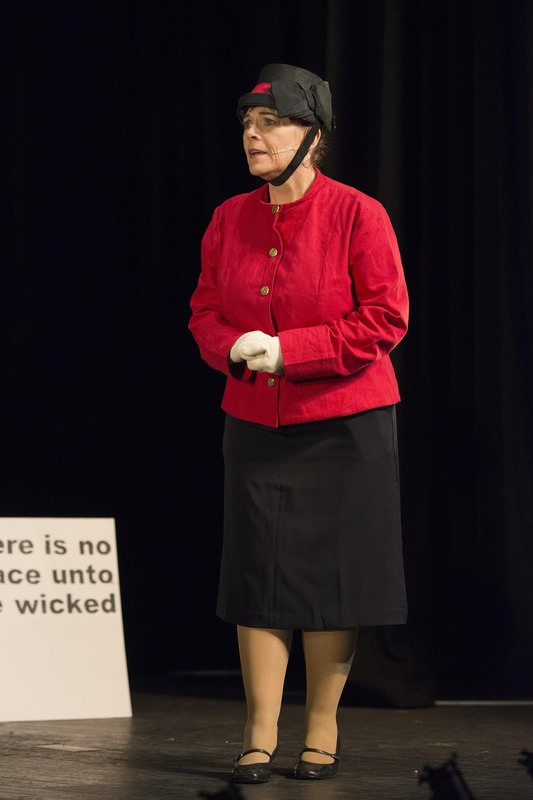 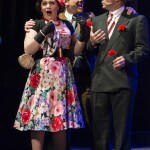 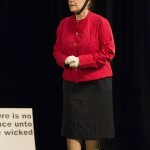 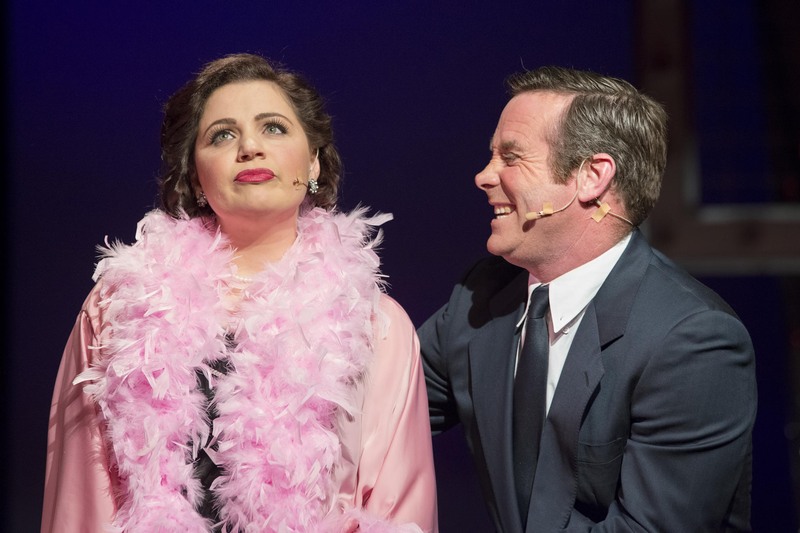 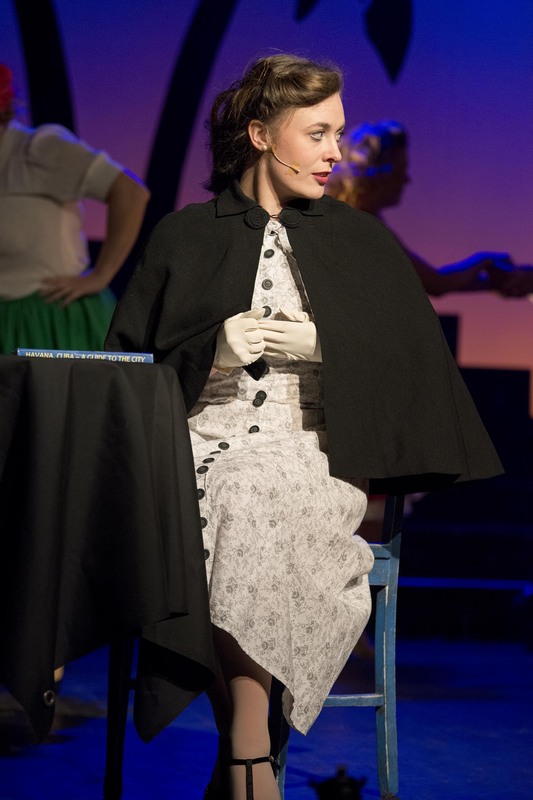 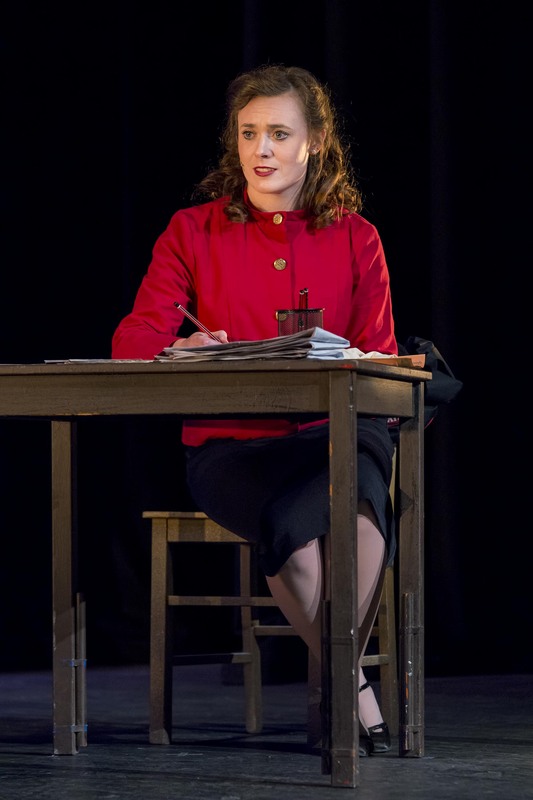 Jeri Williams has clearly been storing her energy during her 2 year hiatus and has allowed it to explode in an energetic and thoroughly enjoyable performance as Miss Adelaide. 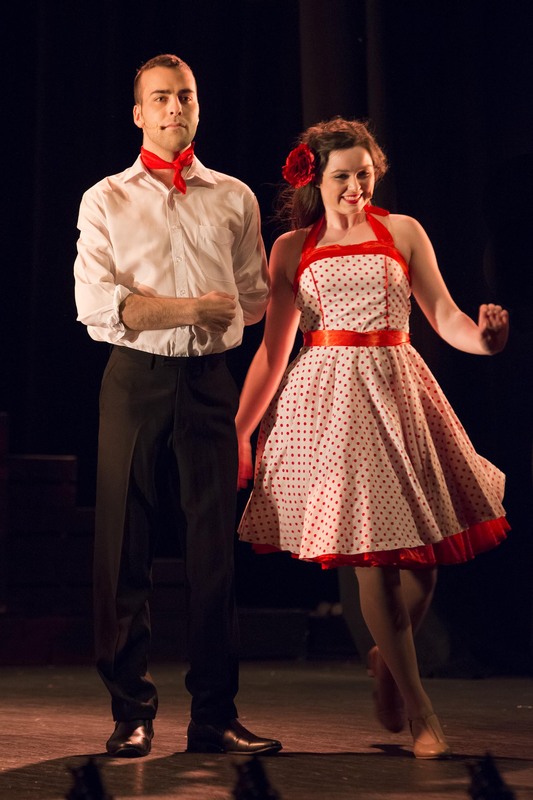 Brendan Cooney as Nathan Detroit and Sophia Bubner as Sister Sarah Brown deliver convincing performances. 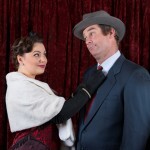 Special mention must be given to Nicholas Bishop’s hilarious portrayal of Nicely Nicely Johnson. 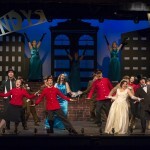 If you are a lover of musicals you need to see this one.